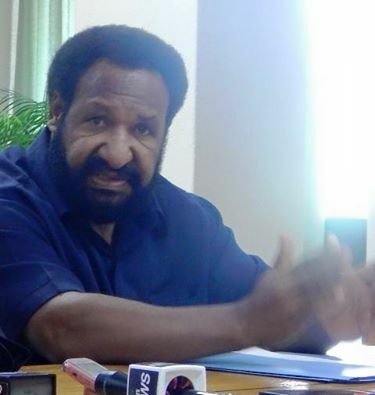 Opposition Leader Don Polye has assured almost 240 employees, who have been affected by Telikom PNG’s spill-and-fill policy that he will make it his business to help them get reinstated. “Our responsible alternative government will not sit down and watch our people being mistreated by the government and we will do what we can in our capacity to help them rise up to the challenges,” he said. Polye said the policy was not sanctioned by the Parliament, and he also warned that implementing it without the Parliament’s sanction or devoid of any policy would have adverse implications on those responsible. “I will refer this matter to the Ombudsman Commission, National Fraud and Anti-corruption directorate, and other responsible agencies. The Prime Minister Peter O’Neill should not throw our long-serving employees out to the streets like this,” said Polye when commenting on the looming termination of these employees. He said Mr O’Neill should accord some respect to these dedicated employees. “He should also consider the spill-over effect on the welfare of families and the children of those affected. We have had enough of this bullying tactic so the Prime Minister should stop this habit,” said an irritated Polye. The Opposition Leader said he would also write to the Prime Minister to put a halt on the implementation of the policy. he said PNG is not a dumping ground to implement failed policies, which can affect the workers. “When the Opposition is in power, we will ensure all our dealings must be openly scrutinized by the public or gauge their views through workshops to make informed decision," said Polye. “We will not entertain backdoor deals as against the principles of good governance and transparency,” he said.